In February of 2013, the Organization for Economic Cooperation and Development conducted a study and found that 15-year-old girls around the world outperform boys in science – except for in the United States, Britain and Canada. Additional research indicates that it is social and environmental factors that shape girls achievements and interest in math and science. The centuries old myth that math is too difficult for the average girl to master is still believed by many Americans. Negative stereotypes about girls’ abilities in math can lower girls’ test performance. Researchers have also documented how stereotypes can lower girls’ aspirations for science and engineering careers over time. Consequently, America is falling behind other countries where women contribute equally to men in fields such as engineering, electronics, science and medical research – all professions that require competence in math. Another factor inhibiting girls is self-confidence. Girls tend to hold themselves to a higher standard than boys do in subjects like math, believing they have to be exceptional to succeed in “male” fields. They also tend to be more fearful of making mistakes – believing that the ability to do mathematics is something that you either have or you don’t. More confident students allow themselves to fail and engage in trial-and-error, which are fundamental to both math and science. Developing a growth mindset, the belief that intelligence can expand with experience and learning, is an important factor in helping girls to develop a greater sense of mathematical ability. Emphasize that we live in a scientific world. Whether it is the weather forecast, the electronics that fill your house, or how dinner is being prepared – scientific theory fires their imagination when they feel connected. Processing information on the brain’s left, or language side, girls tend to deconstruct math concepts verbally. Help her talk it through. Have her read instructions and recipes aloud. When she eventually performs science experiments this will help her break down the steps involved. It also helps with deconstructing more elaborate math problems down the road. Encourage her to learn things by heart. Sometimes learning by rote (a multiplication table, a poem or song) is a useful step towards internalizing a pattern. Never accept language such as “I can’t do this” or “I’m bad at math.” She can do it. Math may be hard but it is not impossible. It stretches her brain, just as physical activities stretch her body. The more she stretches the easier it gets. Present your daughter with positive female role models, especially those in scientific fields. And never put down your own ability – she may transfer those negative ideas to herself. More books, less TV. The more books she has access to, the better she will do at math. The more TV a girl watches, the worse she will do at math. And finally, look at the color of her toys, her room, and her clothes. How much of it is pink? Girls are more responsive to color than boys so diversify. Color-code toys and blocks at an early age. Buy colored blocks, such as Legos, and when you build with them make patterns. And don’t just use color coding as a math activity, integrate it into how your family keeps things organized. Sara Travis has been our Upper School Math Teacher since 2014. 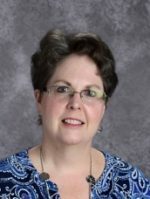 She received a Bachelor of Science degree in Civil Engineering from Johns Hopkins University and then continued on to achieve a Masters in Leadership in Teaching from Notre Dame of Maryland University. Following her Masters, she received an Education Technology Leadership Graduate Certificate +15 from Goucher College Welch Center for Graduate and Professional Studies. “Drake pushed open the big stone door. He felt afraid. But more than that, he was curious. He pushed it open and saw the face of a giant, red dragon! Drake blinked. He didn’t believe his eyes. Then — Woosh! — the dragon shot a huge fireball from his mouth!” (Dragon Masters; Rise of the Earth Dragon by, Tracey West). Capturing the imagination of early readers is pivotal in their learning adventure and reading aloud to your child is one of the most important pieces of early reading. Young minds are adept at creating visual representations when they are read aloud to. Set the characters apart by using different voices or intonation. By doing this you show the emotion and further develop the characters in the passages. Allow your child to “book shop” with you to grow their personal library. Do not discourage the selection of books; let them browse freely in the age appropriate sections. Read aloud to your child every day. One way to do this is incorporating 20 minutes of reading time into their bedtime routine. Role modeling reading for your child is just as important as capturing their attention. Read to them at first and over time take turns reading aloud together one page at a time. When they become more confident readers, hand them the reigns! Time and patience in supporting your child academically is another crucial point to raising a child who loves to read. When your child comes to a hard word, ask them to first sound it out as best they can. Breaking compound words into smaller words is very helpful. I often find that early readers like to use a “reader” or visual tool to help them track when they read. Long legos, mini fly swatters, fancy bookmarks, mini flashlights, and feathers are all engaging tools that motivate them to read. Help them out when needed, explain why the letters sound the way they do, for example, a silent “e” at the end of a word forces the vowel in the middle to say its name. Take the word “cake” for instance; the “e” on the end bosses around the letter “a” in the middle to say its name when sounding it out. This “e” is often referred to in schools as the “magic e” or the “bossy e”. The best thing you can do for your child is to role model reading and show them that reading is important in your home. Let them see you reading, whether it’s the newspaper, a book, a magazine, a cookbook, or an e-reader. Set aside quiet time; a spot where everyone can read alone but in the same room (this works great on weekends). Incorporate reading together into your bedtime routine. Allow them to bring along a book instead of gaming devices when heading out and about in the car. Start listening to your child read. Are they using intonation? Ask them questions about the book. Do they understand what they read? Engage them in questions to think about what will happen next. Ask, “I wonder what Drake will do when he feels the heat from the dragon’s fireball?” You are your child’s advocate and their biggest supporter for learning. Be the fireball that lights their excitement for reading! 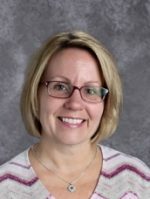 Jennifer Myers began at St. John’s in 2005 as the Second Grade Teacher and is now in charge of Academic Technology. She received a Bachelor of Arts degree in English from Washington College, followed by a Master of Arts degree in Early Childhood Education from Trinity College. Have you ever taken a sip of sweet tea when you had ordered unsweetened? Or, bitten into a bagel with cream cheese, but it was spread with feta cheese by mistake? What a shock! But expectations can also bring great smiles, joy, and growth. When we assume the most positive of intentions, it so often turns out that is exactly what we find. When we have high expectations of others and they have high expectations of us, we all strive to meet those expectations. Powerful expectations are what make the communities in independent schools incredible places for learning and teaching. Every parent at a non-public school has made a proactive decision to place their child there, and that decision changes everything. Their expectations of their child and the school, and our expectations of the student and the family are going to be high. We expect that we will be working together to give the best possible education for our children. It is also critically important that we understand each other’s expectations. Communication about those expectations is key. Often, teachers who are most successful are very clear in their expectations – what is expected on the assignment, how students are to behave in class, what quizzes and test will be like and what they will cover. Students who are the most successful are those who understand the teachers’ and their parents’ expectations, who have high expectations for themselves, and who strive to meet those expectations. With a myriad of schools from which to choose, it is important that parents seek the school that will meet their expectations and one that is a good fit for their son or daughter. Making sure that match is there is why schools spend great time and energy to be sure that who they are is truly who they say they are – they live their mission, that their philosophy and their program are congruent. I always thank parents for taking the steps to find out what education, what school, will be best for their child. My grandmother, who was displaced by two wars, used to say, “Your education is the only thing that I can give you that no one can take away.” And she had high expectations of what I would do with that education. 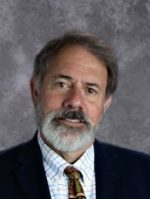 Since 2011, Tom Stevens has led St. John’s Episcopal School as Head of School. He received his Bachelor of Arts in History and Psychology from Yale University and his Master of Arts in Developmental Psychology from Columbia University, Teachers College.